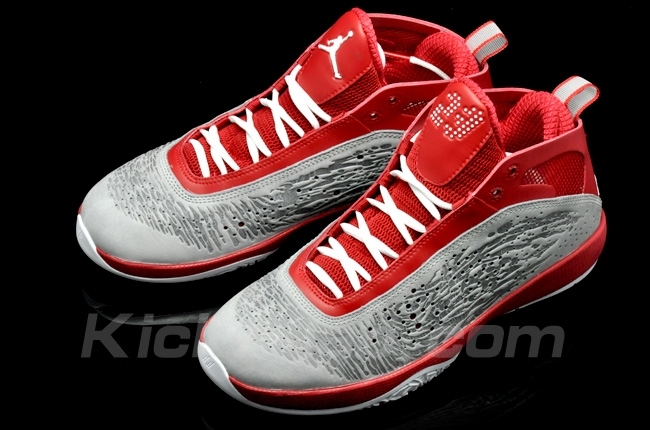 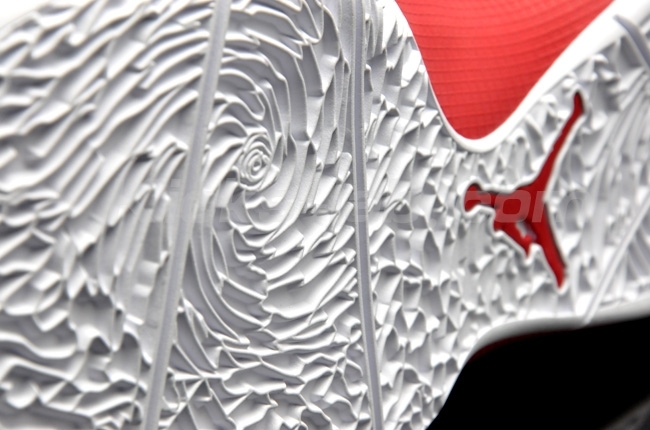 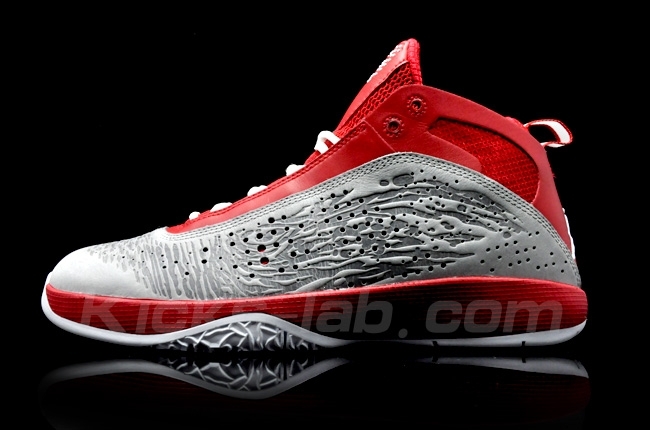 A detailed look at one of the many Air Jordan 2011 colorways due out later this year. 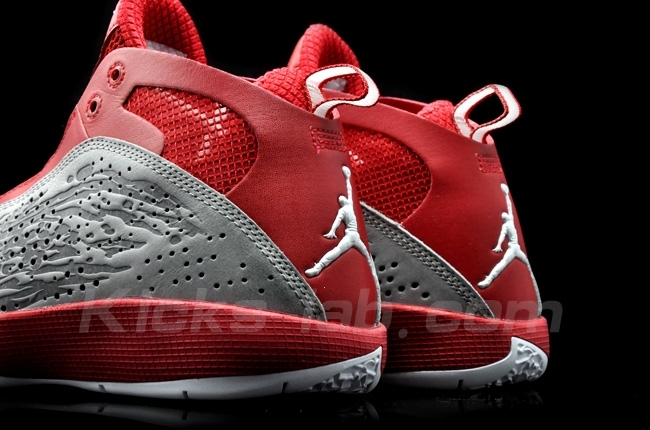 With so many Air Jordan 2011 colorways still set to drop in the future, we can expect to see new image sets on a daily basis. 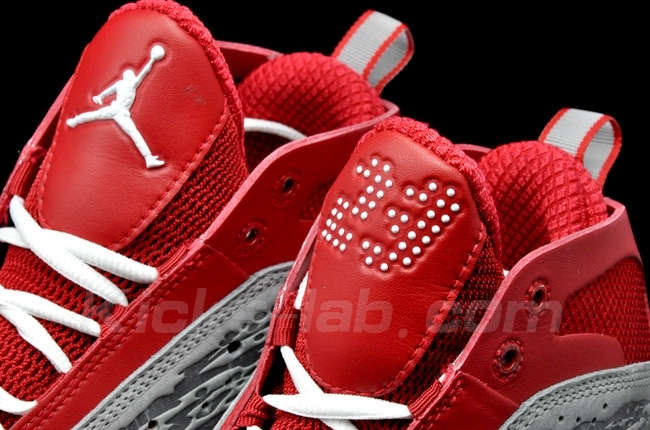 Here's a new look at the Red/Grey pair, which we saw for the first time at the end of March. 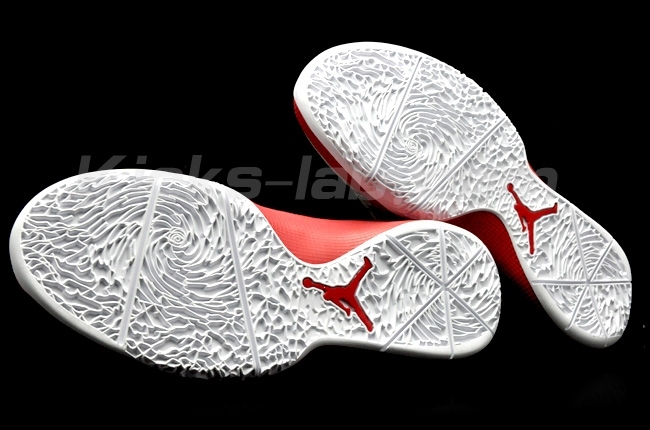 White compliments the look on the laces, branding on the tongue and heel, pull-tab and outsole. 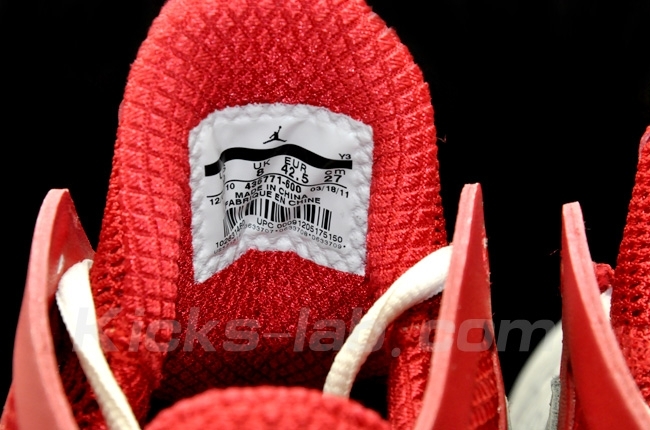 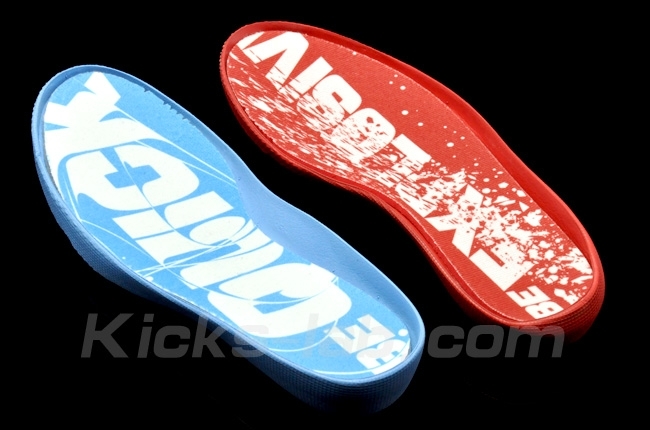 Release details are still up in the air, but continue to check out Sole Collector for the latest.